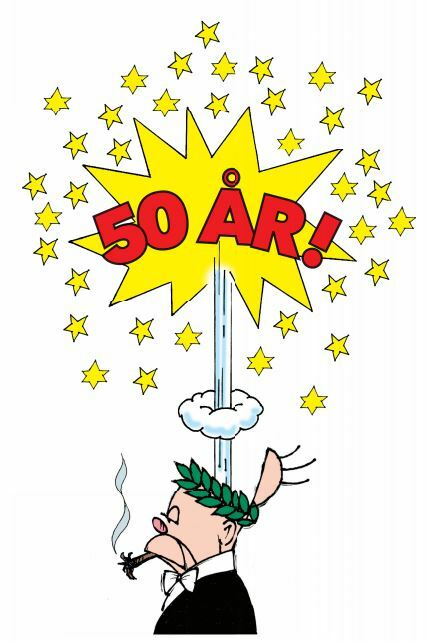 Svenska Serieakademin will celebrate its 50th birthday on October 17th in Stockholm. Jean-Claude Mézières is coming – and, most likely, a slew of other Adamson award winners. Save the Date! One lovely thing I’ve had the pleasure to work on this year is a picture book with the very talented fine artist Jenny Granlund. It’s the fifth in a series published by the sculpture park and private art museum Wanås Konst here in Skåne. They select artists that they love but who work mostly on paper and are therefore unsuitable for the monumental outdoor works that Wanås excels in, matches them to a writer who has not written a children’s book before, and commissions a picture book. This year I was that writer. (There are some interviews with us in Norra Skåne and [paywall] Kristianstadbladet). Jenny and I are in great company – for me personally, of course, following writers like Astrid Trotzig and Martina Lowden is the most exciting. Ours is the fist non-fiction book in the series. Although to be honest, I was so focused on storytelling and the sound and voice that I didn’t realise this fact until we were almost done. That’s probably good. If I’d had the pressure of “Writing A Book Filled With Truth” it might have become much less poetic. 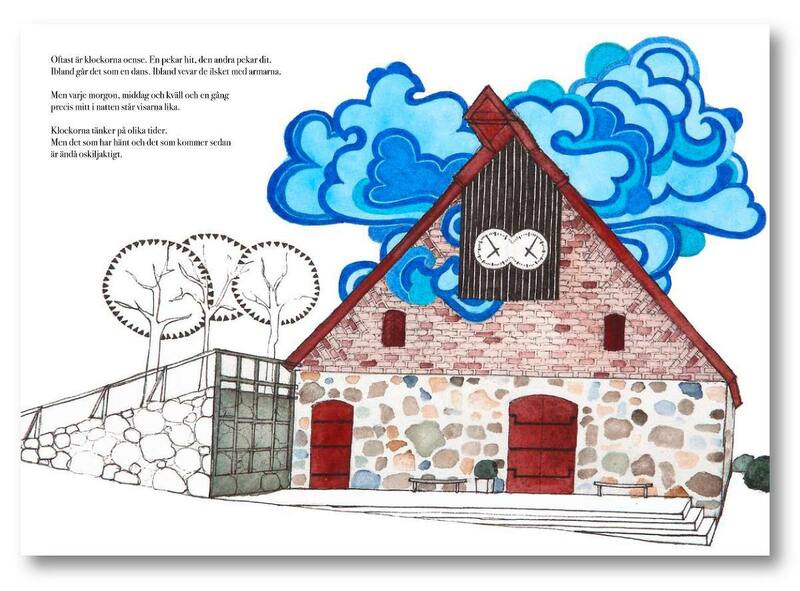 Our book is called Jag vill bygga (I’d like to build) and describes the making of five artworks at Wanås. In real life, when you walk around the park, the artworks seem magical, like they just materialised out of thin air. In the book, we try to make the process of making art less mystical, without compromising on the wonderment the end result engenders. Also, there’s a map. All books involving magical places start with a map. Our book is about works by Maya Lin, Jan Svennungson, Esther Shalev-Gertz, Martin Puryear and Anne Thulin. Each of the five artists arrives with a vision – an idea of what they’d like to build. Once they’re able to explain it, they collaborate with all kinds of craftsmen, experts and even cows to make their vision come true. Each work is also shown in its final state, when they’ve achieved that quality of an independently existing miracle. I don’t think learning about how artworks are made lessens that magic at all. But I do hope finding out can lower the threshold to dreaming about art a little. Both by demonstrating that fine art is created in a wider context of craftsmanship, and placing the singular genius in a wider context of skilled humans working with other skilled humans. When I was a kid, and actually this is still true, I felt I couldn’t be an artist because artists are a special kind of human who have an enormous talent somehow granted to them, as well as a single-minded commitment to their vision, and really good draftsmanship. I could never identify a fount of genius inside me and also I could never draw as well as my father, who is a graphic designer. (Duh. He was also a grownup. I was a wee bit Type A). Anyway, it was CLEAR that visual art could not be for me. Even with things I was eventually good at and serious about, like singing and writing, I always felt that obviously I could never be a real artist. I had nothing to SAY. Nor did I have divine inspiration. I only had ordinary inspiration, and ordinary experiences, and ordinary passions, and ordinary curiosity, and some technical ability in these fields. Perhaps I was a really insightful child and completely correct in my self-evaluation. I did grow up to be a critic. Maybe I was a criticism child prodigy! But maybe not. Maybe I’d been duped by the Romantic Ideal of the lone genius and art-as-suffering and all that stuff – as communicated through heroic children’s books about Artists And Other Geniuses – into censoring myself and dreaming smaller dreams and apologising a lot for creating stuff that did not equal the work of grownup professionals. So this book is about that, a little bit. Maybe it gets to one kid, maybe even a few, before all that programming sets in, and tells them that they can dream as big as they want and that they don’t in fact have to know how to make all of it happen, yet. Other people can help them. A lot of the inspiration for this stuff, which I’m realising only now is also deeply personal, comes from the kids’ activities at Wanås itself. Situated in North-Eastern Skåne, a very underprivileged part of Sweden, the museum has over 5000 kids a year, mostly local, engaging with contemporary art of the highest standards in its schools programmes. If you’re a kid, this is one of the most welcoming places you can go, because it does the most wonderful thing in the world: it refuses to pander to you or treat you like an idiot just because you are little. The works in the park can be viewed all year, but in the “summer” season ending November 1st there is also an annual exhibition. 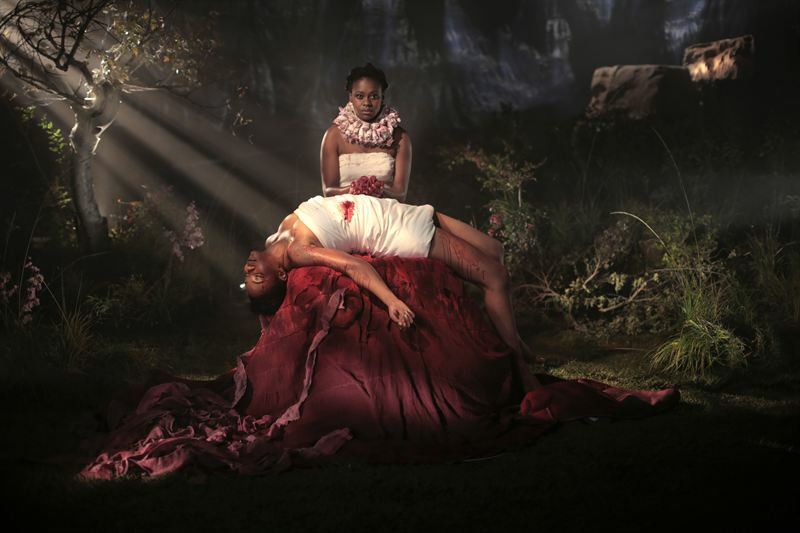 This year’s theme is Barriers – Contemporary South Africa. Don’t miss the video triptych by Kudzanai Chiurai screened upstairs in the gallery (there’s a separate entrance on the back of the building) as is in itself worth the trip. To the museum. Possibly even to Sweden. Definitely to Sweden if you’re in Copenhagen. If you go, you will also be able to see a small exhibition of Jenny’s drawings related to the imagery of the book. Kudzanai Chiurai, Moyo, 2013. Courtesy the artist and Goodman Gallery Cape Town & Johannesburg. 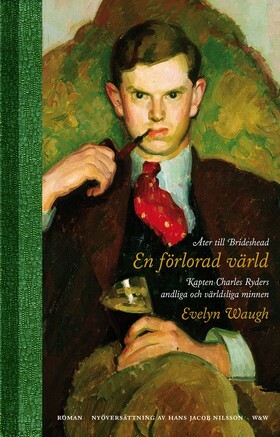 There’s a new Swedish translation of Brideshead Revisited out. It has the charming full title Åter till Brideshead. En förlorad värld. Kapten Charles Ryders andliga och världsliga minnen. Carl-Johan Malmberg in Svenska Dagbladet. An old article of mine, a propos the 2008 film version, is here. (All Swedish). 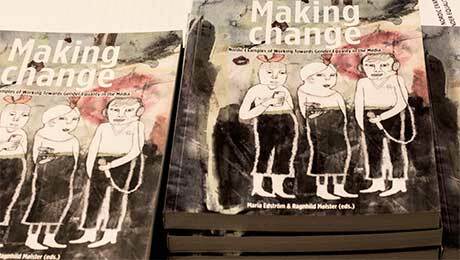 A recent anthology from Nordicom to which I’m a contributor – Making Change. Nordic Examples of Working Toward Gender Equality In The Media – was reviewed positively in Göteborgs-Posten today. The review is in Swedish, but the book is in English and available as a free pdf download here. My text introduces the section on digital games and is titled ‘Start Telling The Story Of Female Gamers And Developers’. You can read about the presentations at the book’s release seminar in Vilnius in December here. I’ve been woefully crap at updating my stuff, partly because I’ve been working, partly because I’ve been paralyzed with exhaustion from working. 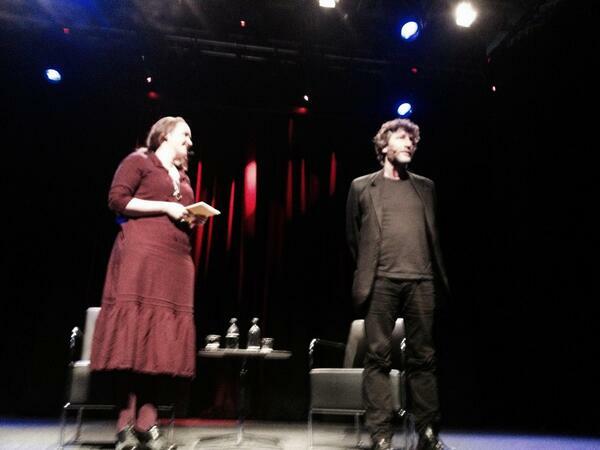 But I couldn’t keep this from you – Neil Gaiman in conversation at Kulturhuset in Stockholm yesterday. This is just the raw feed, I’m sure they’ll release a cleaned up file in time, but it should do for now. The content starts at about 1:19 with a reading. In the middle we talk about the plight of the Syrian refugees for a long time. If you love Neil’s work, or have felt a need to help the millions in need in this crisis, why not donate to the UN refugee agency via the Neil and Georgina page right here? The conversation itself came out great, which means I didn’t accidentally ruin it – obviously, Neil could just walk out there and talk for 90 minutes, so there was a risk I’d just detract from the experience. But the format of the Authors’ Stage requires a certain back-and-forth (although, for long stretches of time, this time I could just lean back and listen). To be honest, it’s hard work interviewing people who get interviewed every day, and often the best you can wish for is a kind of performed conversation. This time, however, I really felt for big chunks of the conversation that we were actually talking to each other. The love in the room, too! Wow. It wasn’t intended for me, of course, but it kind of splashed a little on me, and I understood then why touring is worth it for someone like Neil Gaiman who doesn’t actually have to. He goes out to say thank you for that love. It was a quiet, beautiful thing happening at the heart of a very big, noisy thing, and I’m very happy to have witnessed it. Popped over to Gothenburg for MEG 2014, where I moderated a panel discussion about digital audience strategies featuring Cecilia Beck-Friis of TV4, Marit Kapla from the Gothenburg Film Festival and Mina Dennert, who workes with the new PARSE platform at Gothenburg university. I also had the pleasure of introducing two speakers, Stina Honkamaa Bergfors of United Screen on digital viewing behaviours and Julian Treasure on sound. Stina’s very informative session was filmed, I think; I’ll post a link when I find one. Julian’s I suspect was not, but it was very thought-provoking as usual; I heard him give a similar talk at NMD in Bergen last year and that is available online – I blogged about that here. Some other MEG sessions in Swedish are available to view here and here and here. 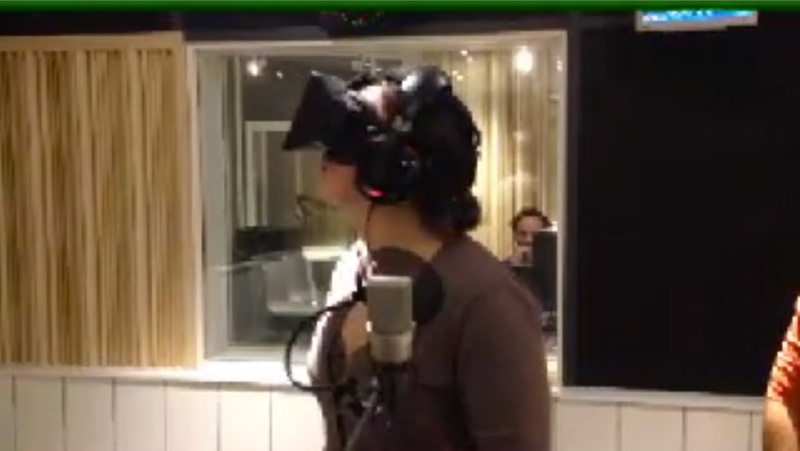 I visited the Kjell och klortanten sustainability podcast to talk about games and game design – and was treated to a wonderful surprise: a test run of the Oculus Rift! You can listen to the podcast here (in Swedish). Last year, on the Alibis blog, I wrote about horror game design for the Oculus Rift (in English).